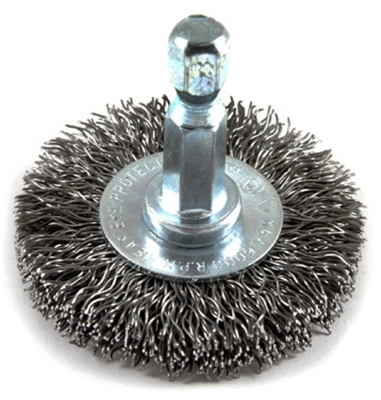 Crimped Wire Wheel, 1.5 x .25 x .012-In. 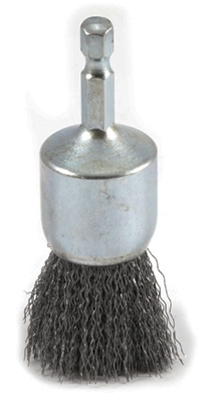 Crimped Wire Cup Brush, 3 x .25 x .012-In. 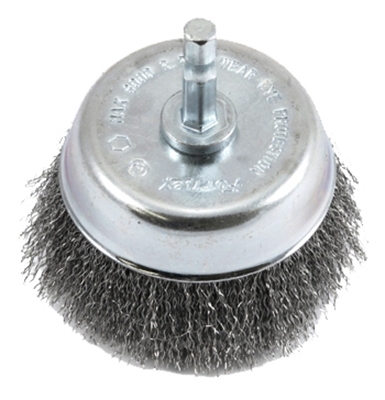 Crimped Wire Cup Brush, 3 x .25 x .008-In. 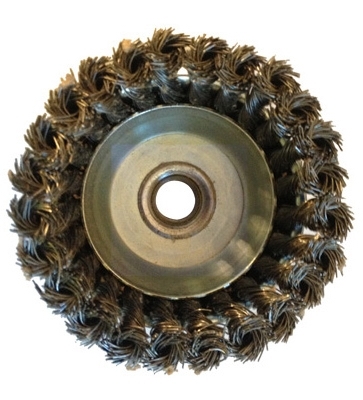 Crimped Wire Wheel, 2.5 x .25 x .008-In. 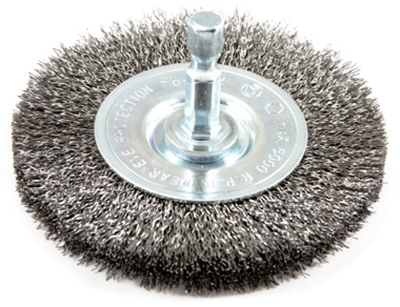 Crimped Wire Wheel, 3 x .25 x .012-In. 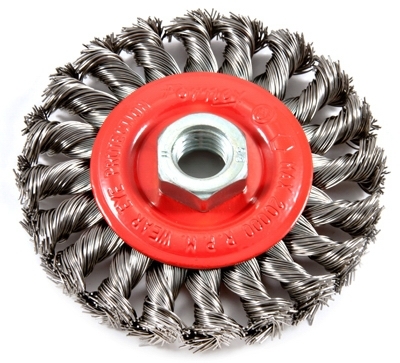 Crimped Wire Wheel, 3 x .25 x .008-In. 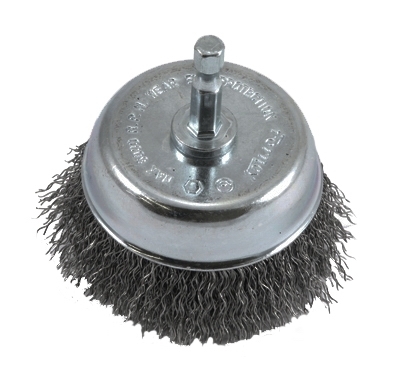 Crimped Wire End Brush 1 x .25 x .008-In. 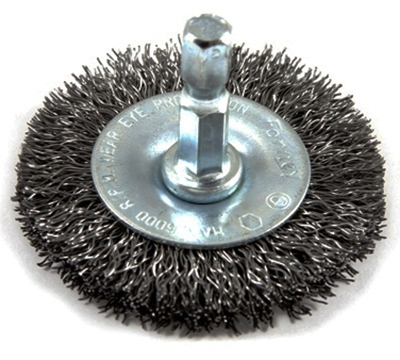 Crimped Wire End Brush, 1 x .25 x .012-In. 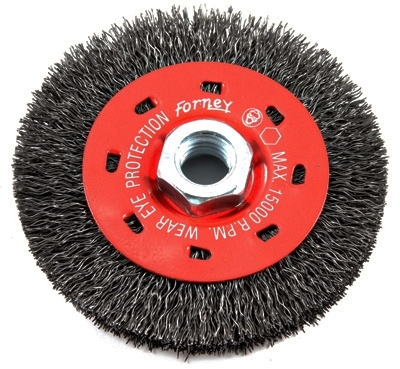 Crimped Wire Wheel, 4 x .25 x .012-In. 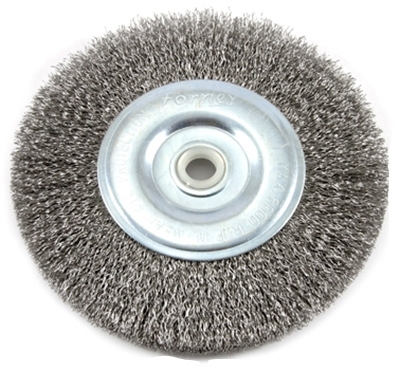 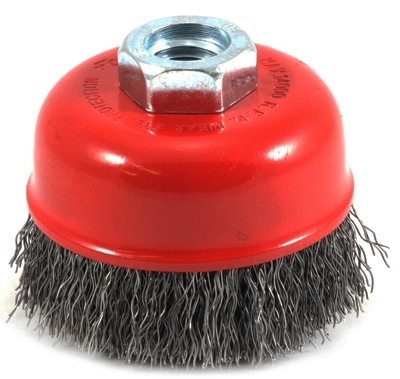 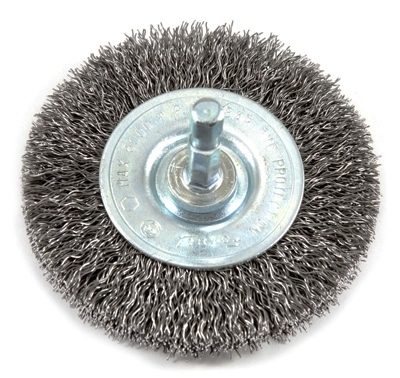 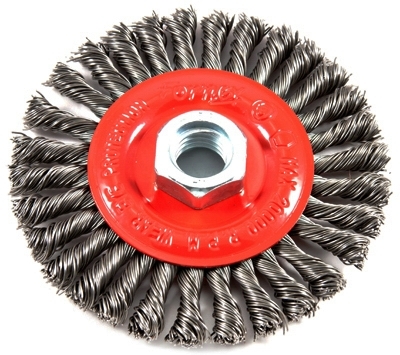 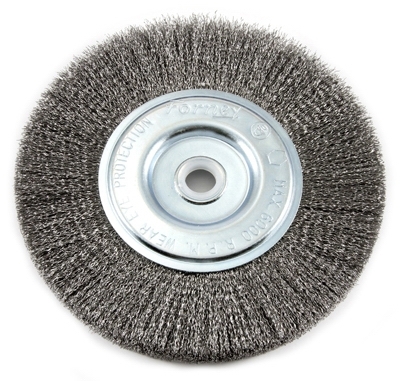 Crimped Wire Wheel Brush, 6-In. 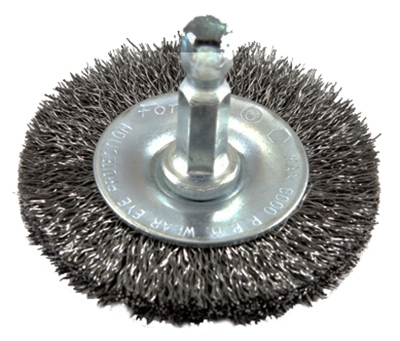 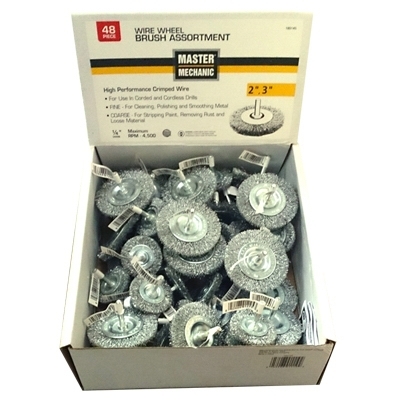 Crimped Wire Cup Brush, 2.75-In. 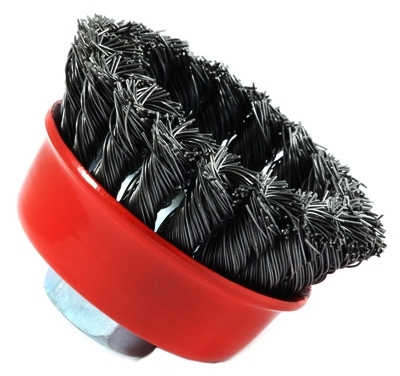 Knotted Wire Cup Brush, 2.75-In. 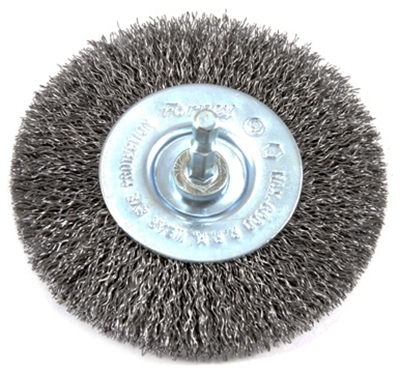 Twist-Knot Wire Wheel Brush, 4-In. 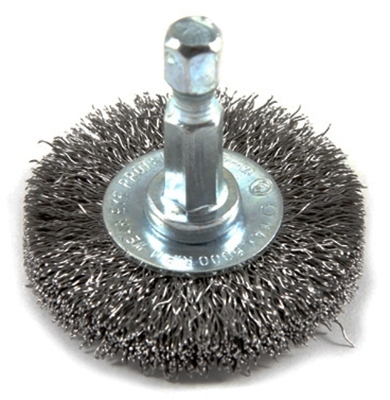 Crimped Wire Wheel Brush, Coarse, 4-In. 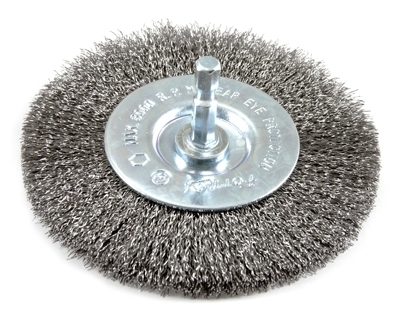 Crimped Wire Wheel, 1.5 x .25 x .008-In. 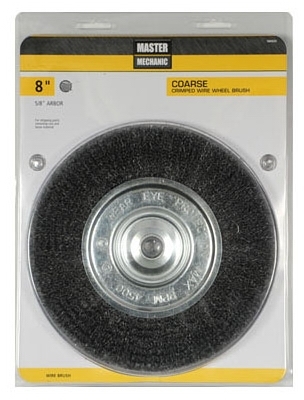 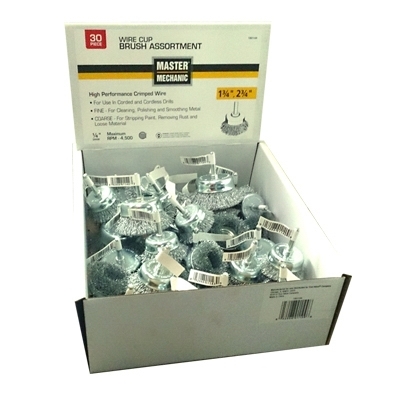 Coarse Crimped Wire Wheel, 2 x .25 x .012-In. 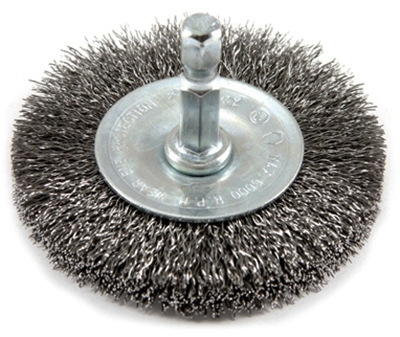 Fine Crimped Wire Wheel, 2 x .25 x .012-In.